My goals for this project are to make my students more aware of the stereotypes they have both of people in the U.S. and in other areas of the world. My goals for my students are to be aware of the stereotypes they hold and to learn how unrealistic stereotypes can be. I also want them to learn strategies to avoid resorting to stereotypes. What knowledge will students acquire by engaging in this project? The students will learn how they are perceived by students in other parts of the world. The will also see how unrealistic stereotypes can be. Reading 1- Read closely to determine what the text says explicitly and to make logical inferences from it; cite specific textual evidence when writing or speaking to support conclusions drawn from the text. Reading 8- Delineate and evaluate the argument and specific claims in a text, including the validity of the reasoning as well as the relevance and sufficiency of the evidence. Writing 1- Write arguments to support claims in an analysis of substantive topics or texts, using valid reasoning and relevant and sufficient evidence. Writing 4- Produce clear and coherent writing in which the development, organization, and style are appropriate to task, purpose, and audience. Writing 6- Use technology, including the Internet, to produce and publish writing and to interact and collaborate with others. Writing 9- Draw evidence from literary or informational texts to support analysis, reflection, and research. Speaking and Listening 1- Prepare for and participate effectively in a range of conversations and collaborations with diverse partners, building on others’ ideas and expressing their own clearly and persuasively. Speaking and Listening 4- Present information, findings, and supporting evidence such that listeners can follow the line of reasoning and the organization, development, and style are appropriate to task, purpose, and audience. I will start this early in the course--during the second or third week. How many times a week will you be involved in the project? Initially, I will be involved in the project once per week. Since this will be long-term project this will change over time to once every 2-3 weeks. How will you present this project to your students? I will relate this project to a reading titled "Body Ritual Among the Nacirema.". In which Americans are viewed and scrutinized from the outside in, in a "fake" anthropological study, which does not reveal that the Naciremas are the Americans. This groundwork in stereotypes will also be referred back to throughout the year as we explore Africa, Asia, Latin America and the Middle East. How will you tie it into their curricular studies? I will introduce this project using the Nacirema article mentioned above. I will tie it in with our exploration of how people perceive different cultures. 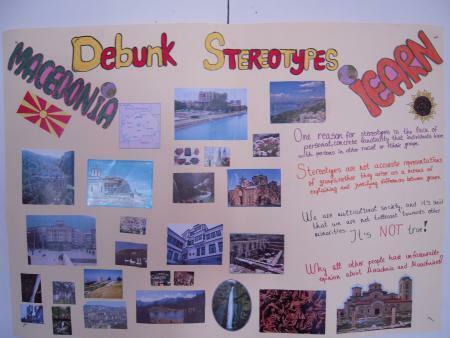 Students will begin with stereotypes they are aware of and then they will begin to apply this new knowledge to areas of the world they have misconceptions about. How will you get them interested in the topic? The previously mentioned Nacirema article along with a post-reading discussion will be the primary "into" activity for this project. What background knowledge do your students bring to the project? The students have their own perceptions and likely misconceptions of people in other countries. They also have their own perceptions of people in other parts of the U.S. They also have their own ideas about how they are perceived by others, both within the U.S. and in other countries. Will your students need to do research for their project? The students will gather information primarily from their own prior knowledge and from conducting informal interviews. They may also need to do some Internet searches. How will they be organized to gather information? I will organize them into working groups of four Each group will then share what they have discovered with the larger group in class and through a blog, which will be set up for the project. Who will be responsible and in charge? I will be responsible for the group as a whole. Each small group will have a group facilitator. I plan to allow each group to elect a facilitator. How will you handle the project communications, how often, who will be in charge? I feel that having a group communicator would probably be best, but I'm concerned about some of the group members not feeling as if they are involved. Perhaps two of the members could be responsible for communicating on the forum and two could be bloggers on the blog that will be created for the project. 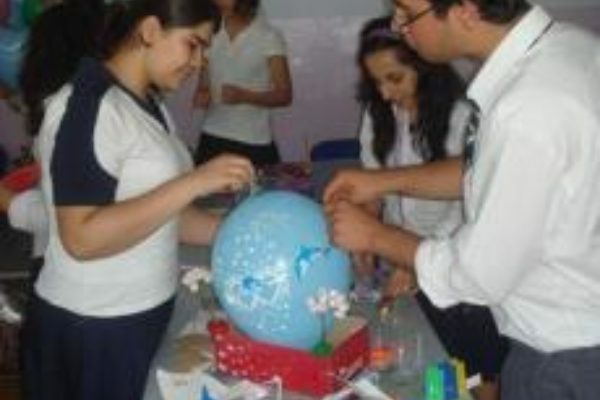 How and when will your students collaborate or communicate with other students in the iEARN network? The students will communicate through the forum and our Debunking Stereotypes blog. Biweekly updates, would probably work well to keep everything current. They will also communicate after viewing then final products at the end of the project. How will the appropriateness of student work be evaluated? Through both peer and teacher review along with netiquette skills. How will you assess the student work? I will design a rubric for student assessment and distribute this at the beginning of the project. I will conduct formative assessments periodically (every week initially and then every 2-3 weeks. Initially, I will assess work based on the collecting of information and the sharing within the classroom. As time goes on I will add the blog into the assessment. I will use continuing formative assessments to keep the project active. I will continue to assess the project blog. At the conclusion, the rubric will be the primary assessment tool Also, possibly through writing, by having each student write/reflect on what they have learned through the process. When does your participation in the project end? My participation will end at the end of the school year, after the students' project has been submitted and after the students have reviewed projects from other schools. How will the students draw their projects to a conclusion? 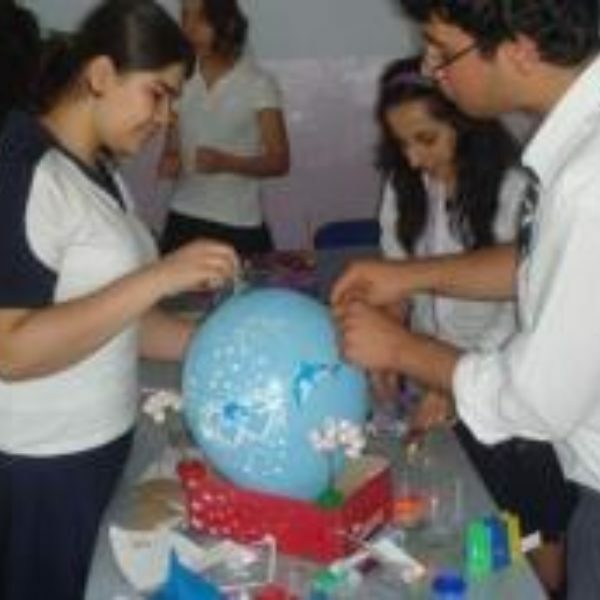 The students will view and review student projects from other schools. They will give feedback on the other projects and receive feedback on their own project. Action items to consider in this phase? The logistics of how to come up with one project out of 5 classes and 150 students How will we decide on the project to post to the site?